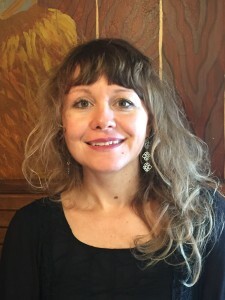 This is the second half of my interview with Christine Sneed. How often did you get rejected with your short stories from literary magazines? Dozens of times. I’ve had stories rejected 40 or 50 times. You’ve had experience with this. Yes, yes, I have. I’ve been submitting for a number of years now. There is one short story that I keep submitting to Glimmer Train. I have received two champagne rejections from them, and I just keep plugging away, making revisions, and resubmitting to them. It’s taken me seven years with just this one story. I think people expect things to happen overnight and they don’t. Yeah. There are some writers like Zadie Smith, who wrote White Teeth when she was 23 or 24, but that’s really, really rare. I think fiction is hard to write, harder than anything else, when you’re young, and to do it well. I think you can write personal narrative as a young person that can be very good. I can remember writing poems in my early twenties. I was much better at writing poetry than at fiction. I published a lot of my poems in my twenties, and they were decent poems, but it was hard to write good fiction. It’s very different. I think you need experience. I think that’s the big difference. I think you have to understand life a little better and how it actually really works instead of how you think it works. As a writer, how do you manage to deal with life issues, and not allow it to get in your way of your writing? You know that’s hard. I’ve found as I’ve gotten more work published, you get invited to do more things, and it’s just really tough to say no. If I say no, what if I were to meet someone who was interested in my book, and wants to option it for a film? I think the thing is though, I don’t watch TV, I watch Netflix once in a while, my partner Adam and I go to movies, every couple weeks usually, but I don’t drink, I don’t have kids, I don’t have pets, so for me, I have no excuse not to write. Writing an hour or two every day, except when I’m traveling, works. Right now I’m staying with my aunt and uncle (on Sanibel Island), and I’ve been here at the conference most of the time, or in transit, so I haven’t had time to write. You just have to be good at saying no from time to time. If you have 45 minutes, maybe you can write 500 words, so I find I get a lot done incrementally. It’s hard for me to sit down for three hours in a row and focus on this book. I also find when I sit down, I tend to look at word count. Now that I have written a couple novels for money, there’s usually some sort of rough deadline where I have to write a couple of thousand words a day, which is a lot for a lot of people. If I can focus for a few hours, I can write a thousand words. I’ve just had this crazy summer where I taught three weeks in a row at three different conferences, and was finishing Paris, He Said, and then I had to redraft it, and redraft it again, and when I started the school year, I was so tired. I’m working at the galleys now, proofreading them. So, you have to love it. If you don’t love it, then you’re not going to do it. The writing has to be its own reward. Even when I’m tired, and I say, ‘Oh, not again,’ I can at least say, ‘I wrote this. I’m so happy I wrote this!’ It’s good. I’m not embarrassed by it—usually. Well, the first draft I was [embarrassed by], but not usually. It’s over. It’s done. It’s one of the new drafts that is getting published. I’ve had that embarrassment happen. I come from a journalism background, and you don’t get to see the edits before it goes to print. Then it comes out in print, and then you read it. “What is this? I never wrote that.” And your name is attached to it. It’s horrible to have somebody come up to you and say, “What did you mean when you wrote that?” And you say, “I actually didn’t write that, the editor did.” And the person doesn’t believe you. That’s a horrible experience. They should run it by you. I tell my students you have to seek out minds greater than your own. You have to enter the consciousness of someone who has a bigger view of the world. Sometimes you do get heavy-handed editors where you want to wring someone’s neck. What are some of the best things that taught you how to write? Because I’m a poetry MFA, I’m really a self-taught fiction writer. The way I taught myself is by reading writers who are brilliant. John Updike, Alice Munro, Deborah Eisenberg—who is an amazing short story writer, Jim Harrison who is great poet, and novelist, novella writer, journalist, crazy man; he’s just an amazing writer. Harrison also has this book called Dalva, which was the best seller in 1988 that I love. He’s from northern Michigan, and he also loves Florida. He goes to Key West a lot. He lives now in Patagonia, Arizona and in Montana. He used to live most of the year in Michigan. Another amazing novelist is Scott Spencer, who wrote the novel Endless Love, which is nothing like the two film versions. He was nominated for the National Book Award for that book. He’s someone I’ve been reading lately, and I keep telling people to read his work. Spencer has written eight or nine other novels. A Ship Made of Paper is another one that was nominated for the National Book Award. Joyce Carol Oates, when she wrote a review for the New Yorker, called Spencer the “poet-celebrant of Eros”; he’s very sensual, very funny too; his work is just devastating. Like Updike, he can write sentences that are unbelievable. I read four of his novels this past spring, and my jaw kept dropping. He’s stunning. The writing is so joyful, even when he’s writing devastating things, emotional things; he’s very much a romantic. I really learn to be a writer by reading people who are smarter than me. I tell my students you have to seek out minds greater than your own. You have to enter the consciousness of someone who has a bigger view of the world. Have you ever come across anyone that helped you nail a character, or opened your mind about putting yourself in another person’s shoes? You know, I almost never base stories on people I know. 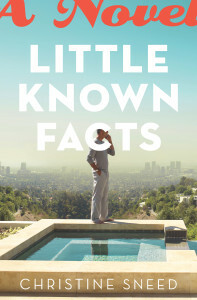 With Little Known Facts, I was thinking one day what would it be like if I were the son of someone like Paul Newman or Harrison Ford and I was in sexual competition with him? 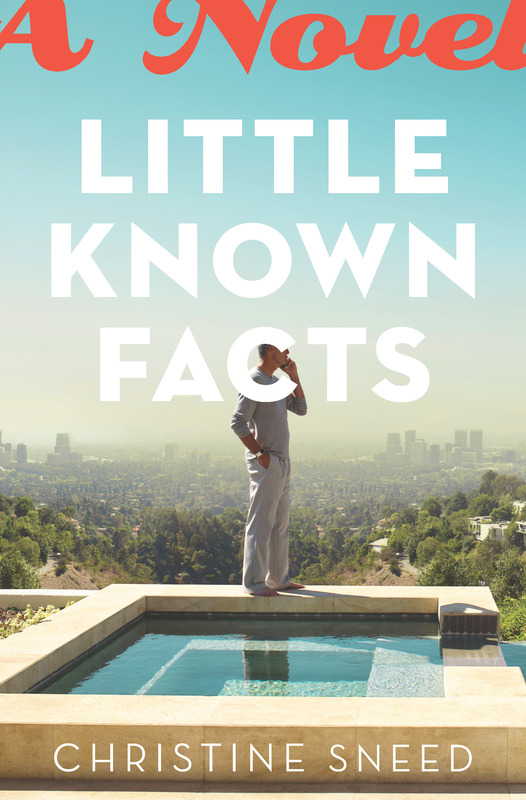 I think a lot of my ideas come from non-fiction. One of the magazines I subscribe to is Harper’s. All the articles in there are so well written. It’s tough. There’s a lot of political reporting, and the writing is so good regardless of the topic. I often get ideas from a little glimmer of something here and there, but you know, I wrote this story that got published in the Southern Review a few years ago called “Beach Vacation,” which will be in my new collection unless my editor doesn’t want it in there. It was based on this gym that I go to. There’s this woman who is probably 15 years older than me, who brought her son with her. He came to one of the classes and at the time he was probably in his early twenties, and he was absolutely gorgeous. He’s this amazingly beautiful guy, and I wondered what is it like to have a son that is so damn good looking? Everywhere you go, you know women are ogling him, so I wrote this story about a mother, and her 17 year old son, who goes to Captiva with her. The reason the son wanted to go to Captiva is because of this girl he has a crush on who was going to be there. The mother didn’t know that until they got there and she was really angry, but she found him talking to a 32 year old woman who was recently divorced, sitting by the pool and he’s 17, so that was inspired by the woman, and her son at the health club. Do you work on more than one piece at any one time? Yes, especially if it’s an essay for a journal. Those articles aren’t usually longer than two thousand words, so I’d be working on non-fiction, and a novel, or a short story at the same time. I usually just pitch the idea for the article, and try immediately to write the article if the editor says yes. Yes, I am. I’ve mapped out chapters by chapter titles. Do you know your endings? At what point do you know you have the ending, or how does it come to you? When do you know you have it? I’m not sure – I mostly only know it as I’m writing it. It’s instinct, a mood, and sometimes I don’t know until I’ve had some distance from a piece that it wasn’t the right ending and I need to change or add to it. 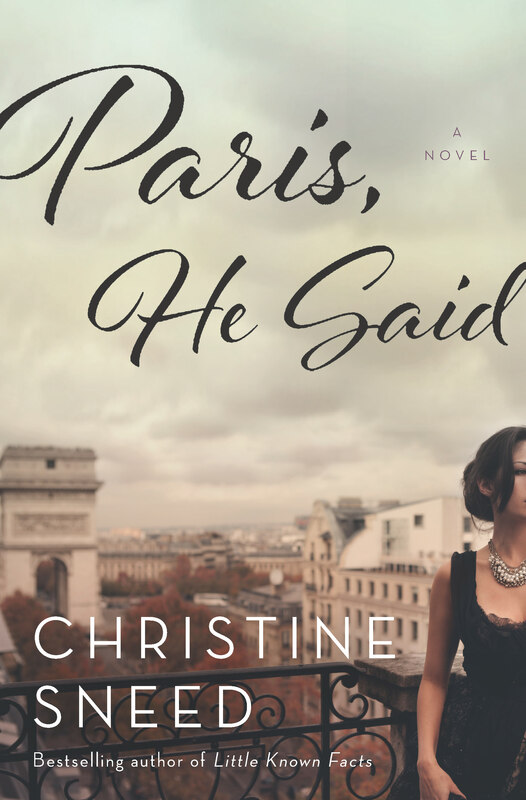 What can you tell us about your soon to be released novel, Paris, He Said? The novel focuses on a 30-year-old woman, Jayne Marks, who is offered the opportunity to go to Paris to paint and discover who she will become if she does finally try to fulfill her early artistic promise. It’s also a May-December romance (older man, younger woman). An actual painter, Susan Kraut, who is also a painting instructor at the School of the Art Institute of Chicago is one of the important supporting characters. It was interesting and fun to put her in there. She’s a good friend of mine, and she’s so talented and generous. 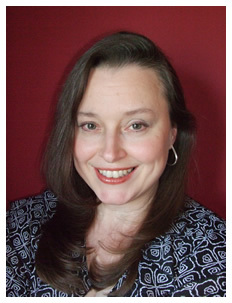 Susan is Jayne’s mentor in the novel. 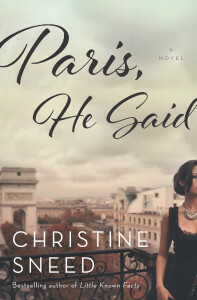 Christine Sneed’s novel, Paris, He Said, will be released May 5, 2015 by Bloomsbury.